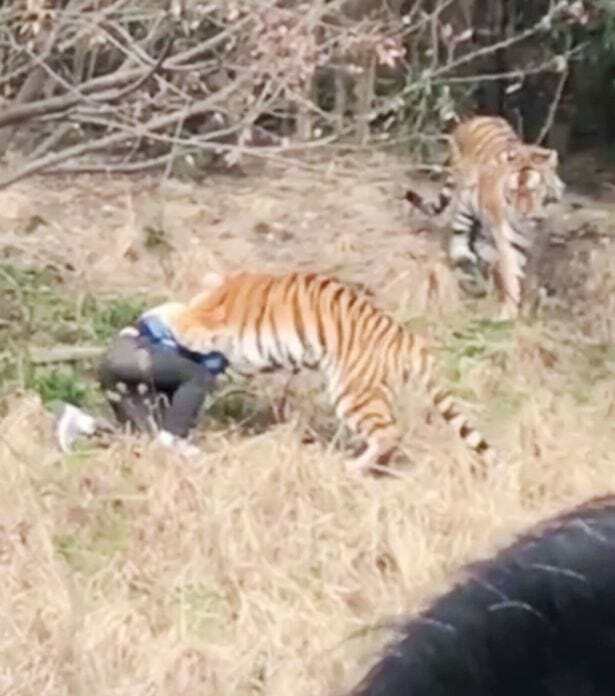 The horrific moment three tigers pounced upon and mauled a man to death has been captured on film. 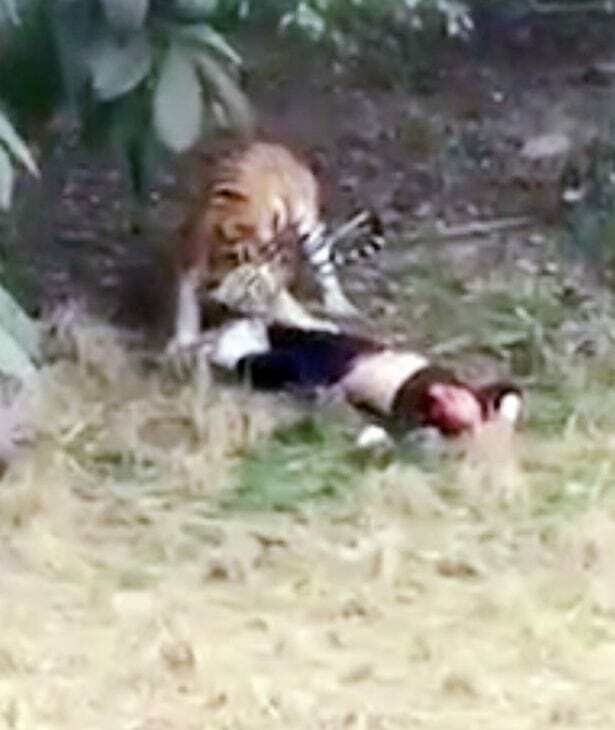 A tourist allegedly and ill-advisedly, climbed into a tiger enclosure at a Chinese zoo where he was savagely mauled by the three vicious beasts, the Mirror reports. The horrendous incident was caught on camera, while the man’s wife and child watched helplessly as he was attacked by the big-cats. The man apparently took it upon himself to approach the powerful creatures at feeding time – which is probably the worst time to ever do anything like that – when they predictably turned on him. The terrifying clip shows the majestic creatures round on the man at Ningbo Younger Zoo, before passing him between themselves with their overpowering jaws and paws. The fearsome animals bit the man’s head and neck and tore off his clothes, leaving him face down in just his underwear before they dragged his bloodied body into the woods by his foot. I saw the tiger mauling the person, whose face was covered with blood. Every time he sat up, the tiger pushed him down again. Witness reports claim the man crossed the river and entered the isolated enclosure at 2:30pm, leaving his wife and child behind and by 3pm, the zoo was closed. One tiger was shot dead and zoo-keepers tried in vain to scare the animals away with firecrackers and water canons, but to no avail. The man was rushed to hospital, but there are conflicting reports on his condition, with some saying he died because of his injuries and others claiming he is still being treated.